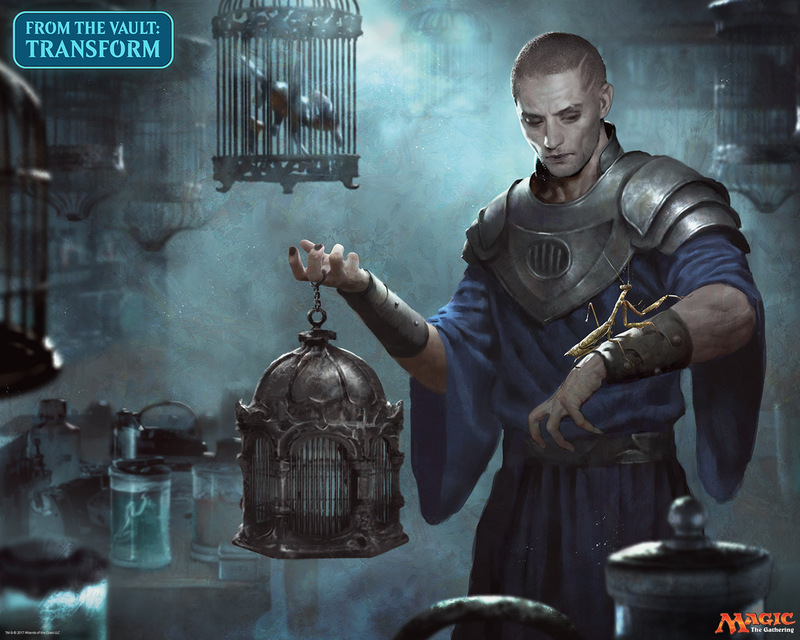 Wizards of the Coast has revealed the first two cards from this year’s reprint box set, From the Vault: Transform. On sale later this month, the spoilers come in the form of new artwork for Delver of Secrets and Huntmaster of the Fells released via promotional materials. Scroll down for the full artwork reveal. Over the years, these cards have come to represent a diverse array of powerful changes on the battlefield. In celebration of this versatile mechanic, we have assembled 15 of our favorite transforming cards in From the Vault: Transform. Each card represents a different aspect of the power that comes with transformation, and each card has a story to tell. While fans have been eager to see which transforming cards would be included in this year’s From the Vault release, the pool of potential reprints is not as vast as some previous sets. With that said, Delver of Secrets and Huntmaster of the Fells make for strong openers to get fans interested. Both are popular cards that see play, particularly Delver. As of the time of writing, foil Delver of Secrets is valued at about $8, with foil Huntmaster of the Fells above $35. 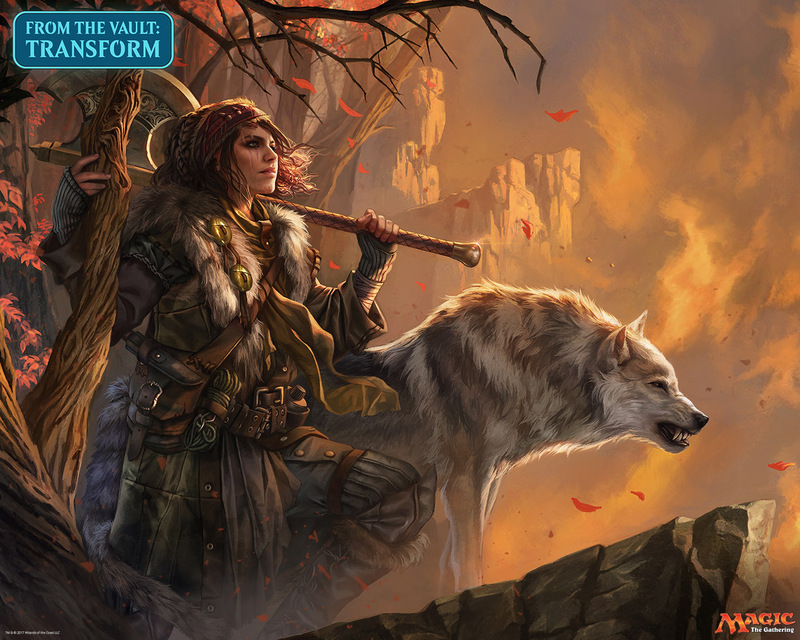 French artist Magali Villeneuve was eager to share her Huntmaster of the Fells artwork via Twitter shortly after the release. The artist for Delver is currently unknown. From the Vault: Transform releases November 24th, 2017 with a suggested retail price of $34.99.